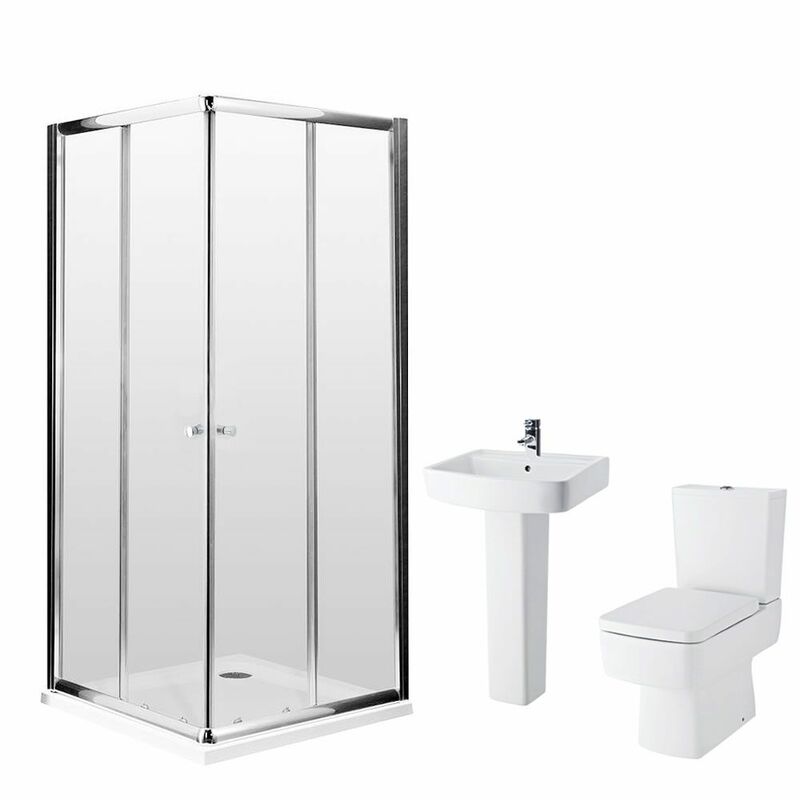 The Bliss en-suite bathroom set is a great option for creating a smart, contemporary look. 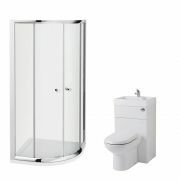 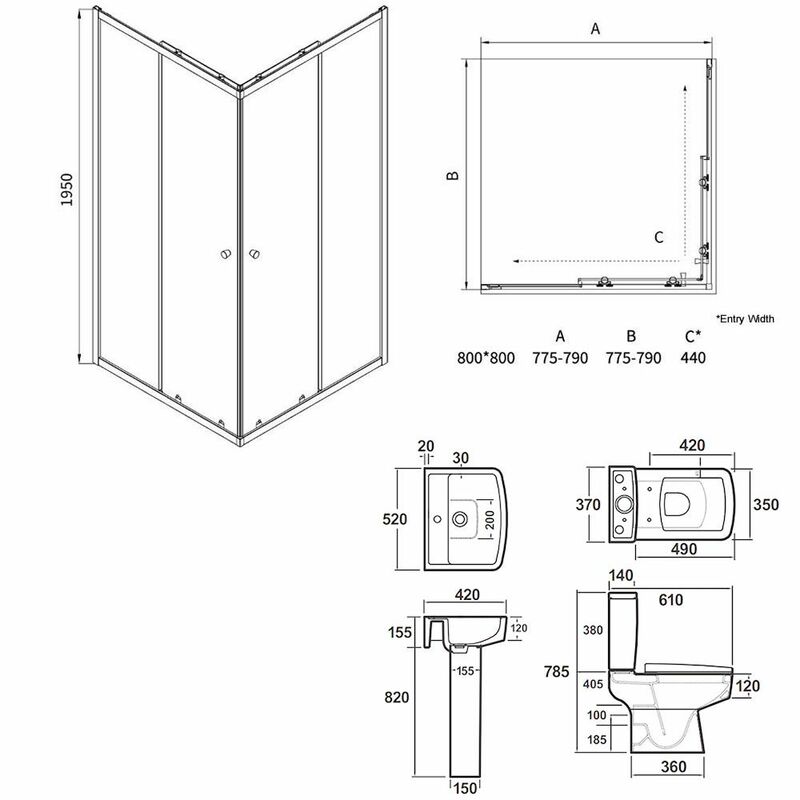 It comes complete with the 800mm corner entry shower enclosure and slimline tray, basin with pedestal, toilet with cistern and soft close seat and the basin tap with waste. 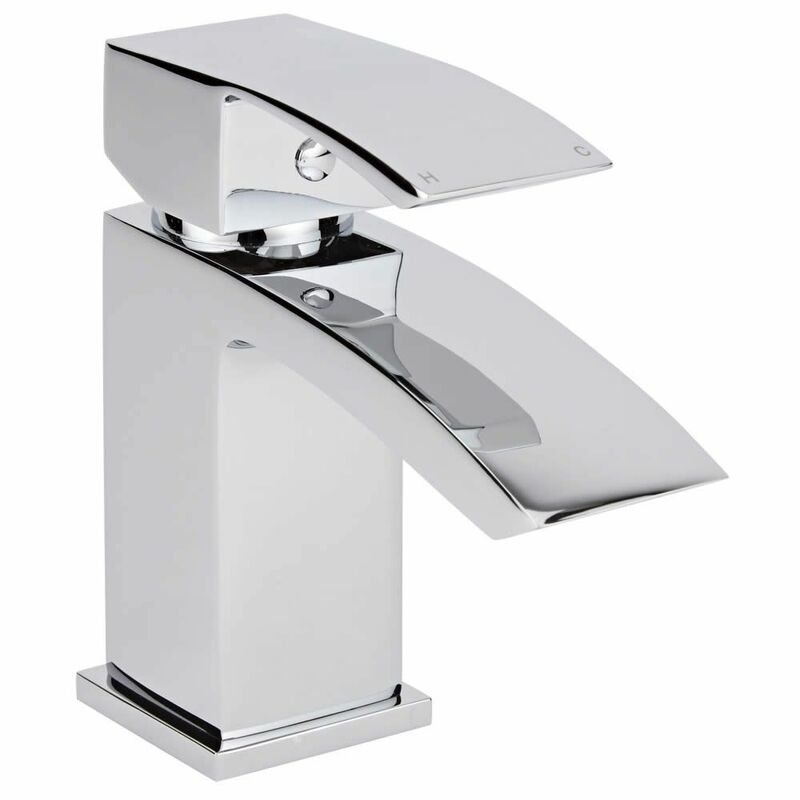 The stylish basin tap has a solid brass construction so you can be assured of quality and durability, as well as ceramic disc technology to prevent leaks and drips. The corner entry shower enclosure features 5mm toughened glass for peace of mind and quick release doors for easier cleaning. 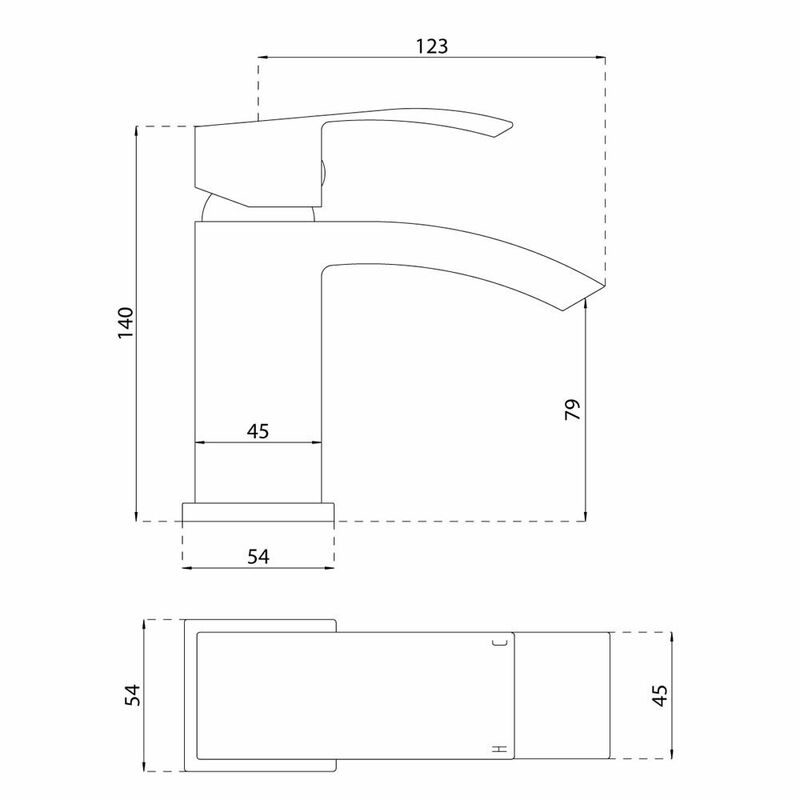 It measures 800mm in width and 1950mm in height.